Two Chicks On Books: Blog Tour- CRYSTAL BLADE by Kathryn Purdie An Interview & Giveaway! 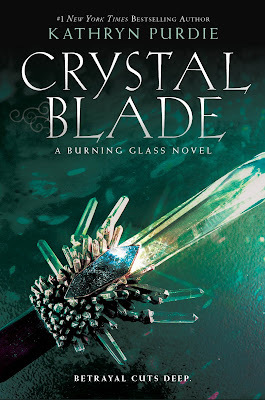 Blog Tour- CRYSTAL BLADE by Kathryn Purdie An Interview & Giveaway! Hey everyone! 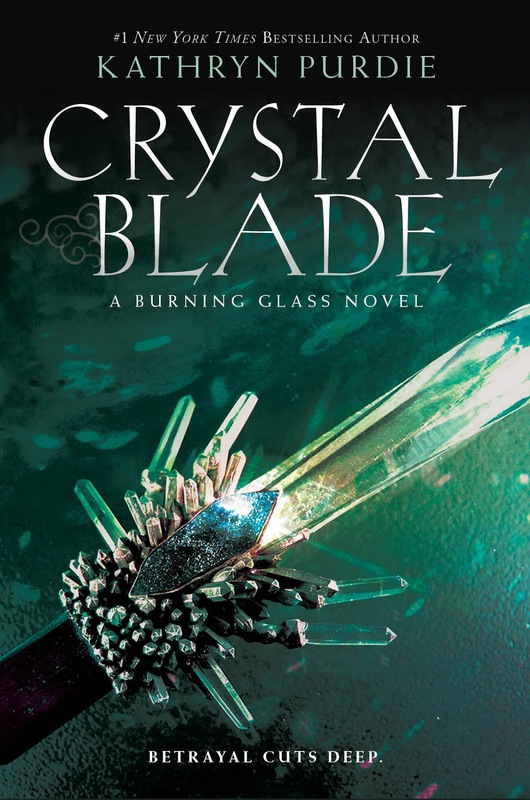 I am thrilled to be hosting a spot on the blog tour for CRYSTAL BLADE by Kathryn Purdie! I freaking love this series and can't wait for book 3! 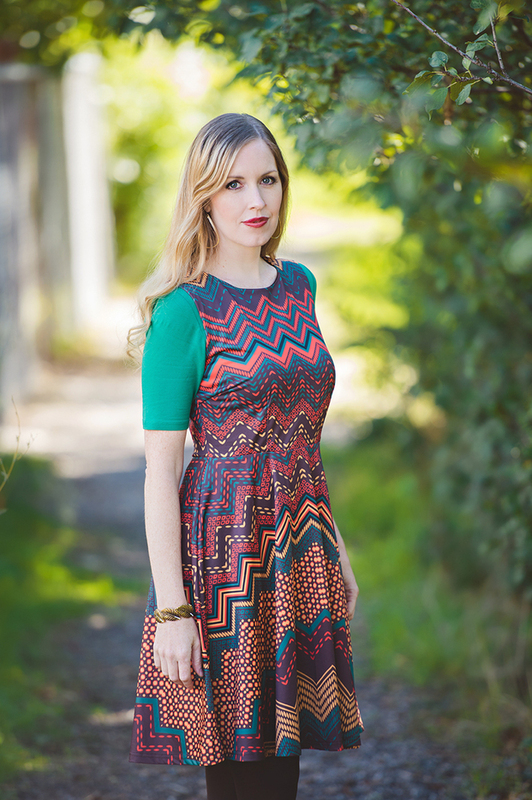 I have an interview with Kathryn to share with you today! And make sure to enter the giveaway below! Haven't heard of CRYSTAL BLADE? Check it out! Hey Kathryn!! First I want to say welcome back to Two Chicks on Books I’m glad you could stop by for a chat! CRYSTAL BLADE was freaking AWESOME and I can’t wait for everyone to read it! Thanks for hosting me! I’m so happy you loved CRYSTAL BLADE! So… Book 3? Any news on that front? Like a title maybe? I can’t share the title yet, but I have finished the first draft. It’s very different from the other two books, and a big chunk of the story takes place in a completely new setting with a new castle. I loved writing this conclusion to Sonya’s story! No, I’ve honestly never based a character off of a real-life person, but I do steal lots of traits, quirks, phrases, mannerisms, etc. from people I know in order to make my characters more authentic. Valko was my favorite to write in CRYSTAL BLADE! He did this one bizarre thing to try to claim ownership over Sonya that was so surprising and fun to add in. I love to hate him! Anton, although I swoon over him, was the hardest to write in this book. I had to do a lot of revising to get his journey right. I’m very happy with how he turned out--and where he’ll go in book three! What is your favorite passage/scene in CRYSTAL BLADE? There are two scenes in CRYSTAL BLADE where Valko goes on trial for his crimes as a tyrannical emperor, and Sonya is called to testify as a judge of his character with her ability as an empath and from her experiences with him in BURNING GLASS, and she really does a 180 in each of those scenes, especially the second scene. It was so exciting to write the build-up to those moments and then execute them. I researched a lot about Roma and nomadic people, since they are much more on the page in this book compared to BURNING GLASS. Sonya’s best friend, Tosya, is Roma (“Romska” in my book), and Sonya was raised by the nomads, so I wanted to make sure I was both sensitive and authentic when writing about a very marginalized people like the Roma. The Darkling in SHADOW AND BONE. I love him, I hate him, I feel bad for him. Leigh Bardugo is brilliant. That is all. Swoon! There was no YA category in bookstores when I was growing up, and I went through a long spell as an adult reader where I was super disillusioned with fiction. Then YA popped up out of nowhere, and I found myself devouring books and being so in love with reading again. I just connect to writing about teenagers so much more. I still feel seventeen at heart, and I love writing about firsts--first love, first loss, first experience with death, etc. Teenagers also feel things so much bigger than adults do, and I love that extra drama when I read and write. BEFORE SHE IGNITES by Jodi Meadows. LOVE! I’m totally invested in Mira and her journey. RISE OF FIRE by Sophie Jordan is next on my TBR list. I finally read REIGN OF SHADOWS (book one) this year, and I love it so much! It’s like Rapunzel meets THE FOREST OF HANDS AND TEETH. I can’t wait to see what happens in the sequel. Hufflepuff. I’m a total softy at heart. Facebook! Twitter can be overwhelming for me if I’m on too long. Wonder Woman! She’s so empowering. TURN. It’s about a spy ring during the Revolutionary War. So awesome! Both. Bring on the kettle corn! Crickets. They jump. Hard to catch. Still trying to forget the nights I woke up as a child and found crickets on my bedspread. Oh, the horror! MURDER ON THE ORIENT EXPRESS. It has an awesome cast, and I love a good mystery! Thanks so much Kathryn for answering my questions! I can’t wait for everyone to read CRYSTAL BLADE! You’re welcome! Thanks again for having me and for all your fun questions! 1 winner will receive a signed finished copy of CRYSTAL BLADE, US Only. 5 winners will receive a signed ARC of CRYSTAL BLADE, US Only. Go back to where it all began! Grab the first book in the series!